Have you got a budding cover model at home? 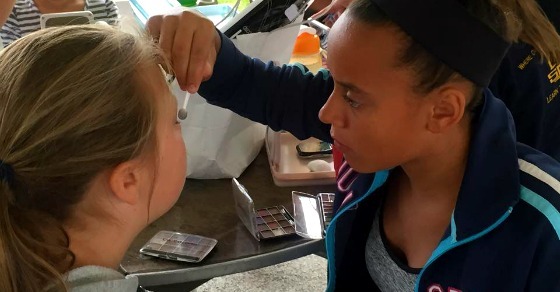 We will educate and entertain all campers with our knowledge of nails, hair (braids, up dos, curling, straightening), make-up application, and even a little about style and trends. If your child wants to do their friends’ hair and constantly wants to use your make-up, we’ll see to it that they understand the basic principles first.